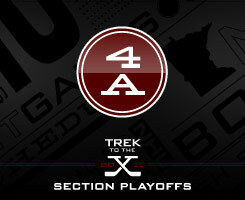 Seedings for Section 4A were released on Sunday, Feb. 20. St. Thomas Academy was selected as the section's top seed - followed closely by Totino-Grace, South St. Paul and Mahtomedi. Those top four teams receive first round byes. Opening-round action gets underway on Tuesday, Feb. 22.